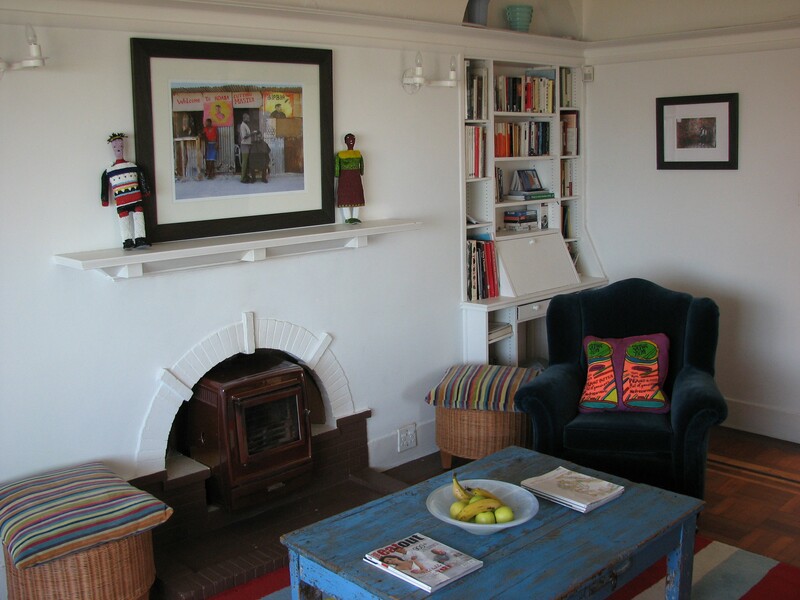 Charming Cape Town bed and breakfast guest house near ocean beaches. Sea and Cape of Good Hope views! Close to swimming, tennis, golf, nature, restaurants. 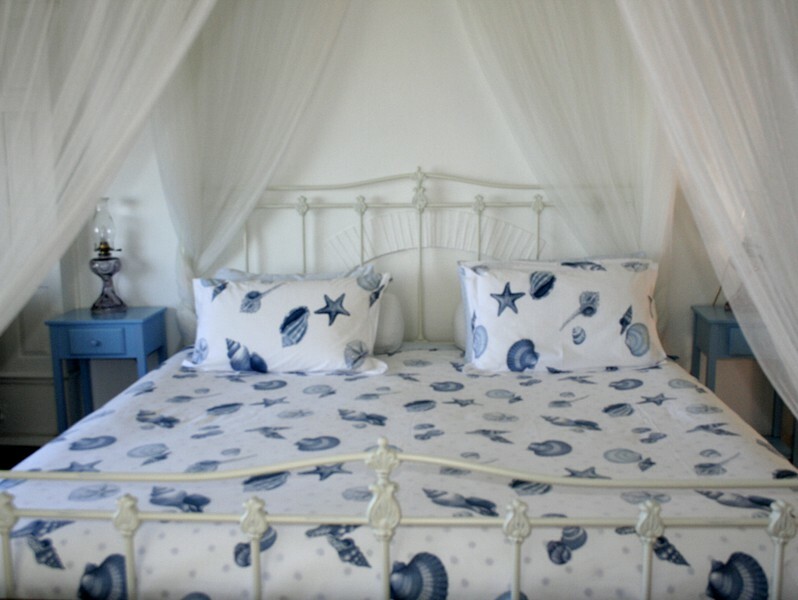 Perched on a quiet mountainside overlooking False Bay and the Cape of Good Hope, Blue on Blue Bed & Breakfast offers 180 degree sea and mountain views in a tranquil setting. 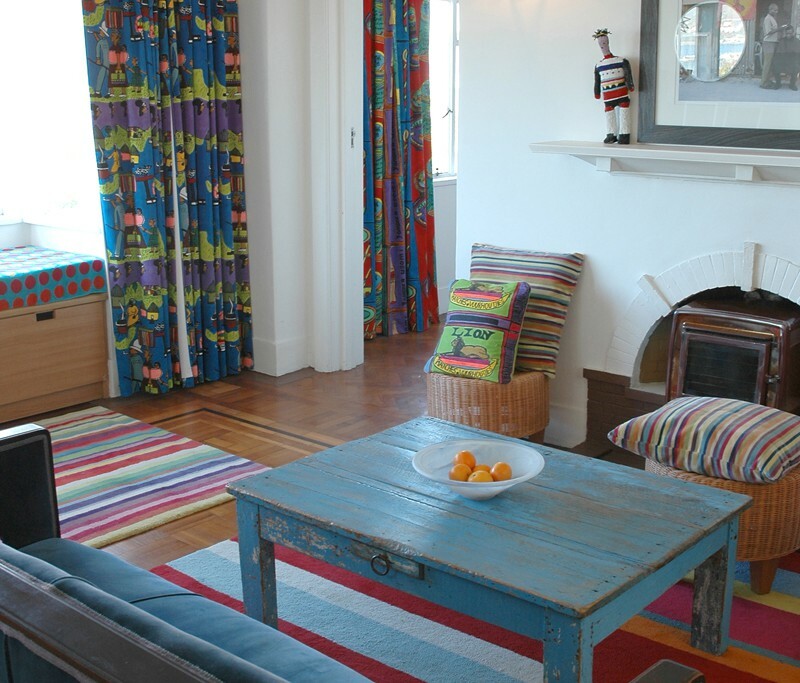 As a small establishment colorfully adorned with local artwork, we provide you with a relaxed atmosphere for your seaside stay. Located at the end of a cul-de-sac just steps from the beach, our upper floor rooms feature breathtaking views of the Indian Ocean. 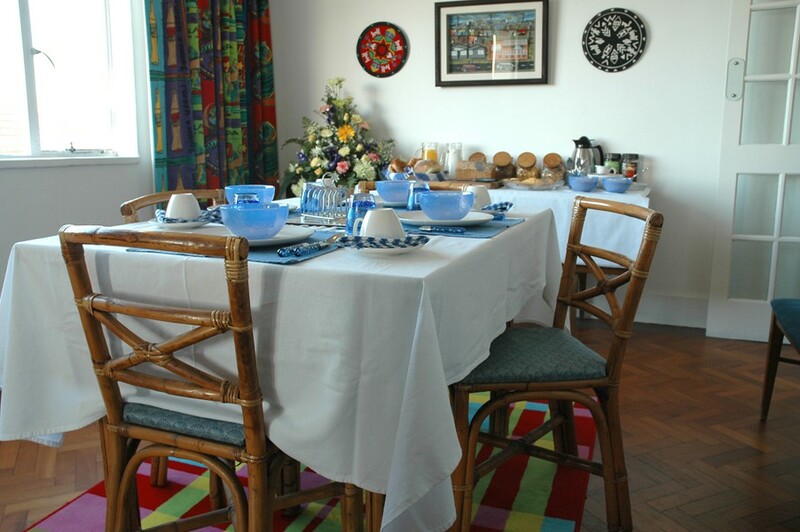 Enjoy a hearty breakfast before exploring the unequaled natural beauty of the Cape. 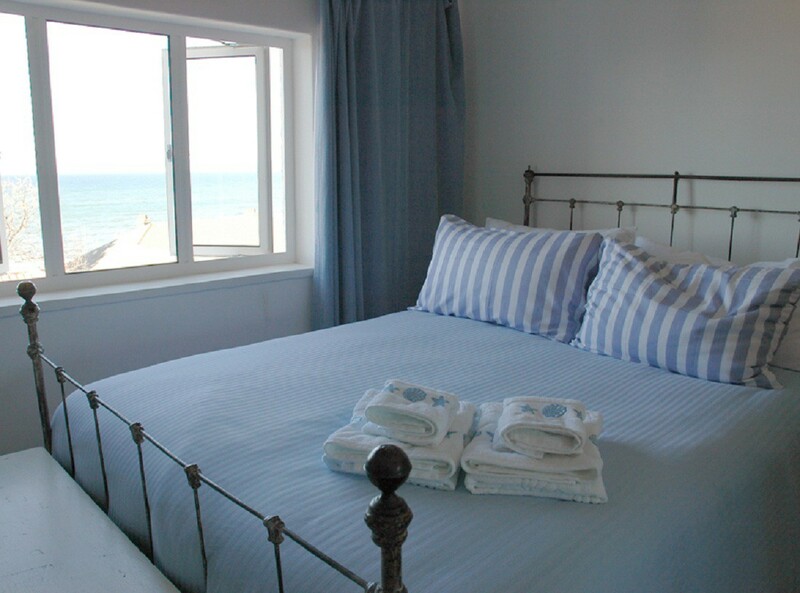 From Blue On Blue, a short stroll down the hill takes you to the famous Victorian bathing huts, protected tidal swimming pool, and seaside tennis court at St. James Beach. The hiking trails of the Silvermine Nature Reserve lie directly above. Kalk Bay’s fishing harbor, restaurants, cafes, museums, and renowned antique shops and art boutiques lie in walking distance. Within a 2-minute drive, Muizenberg's famous Surfer's Corner offers an opportunity to ride the waves or enjoy a variety of other watersports. Wine estates, golf courses, and deep-sea fishing excursions are within 10 minutes of Blue on Blue. 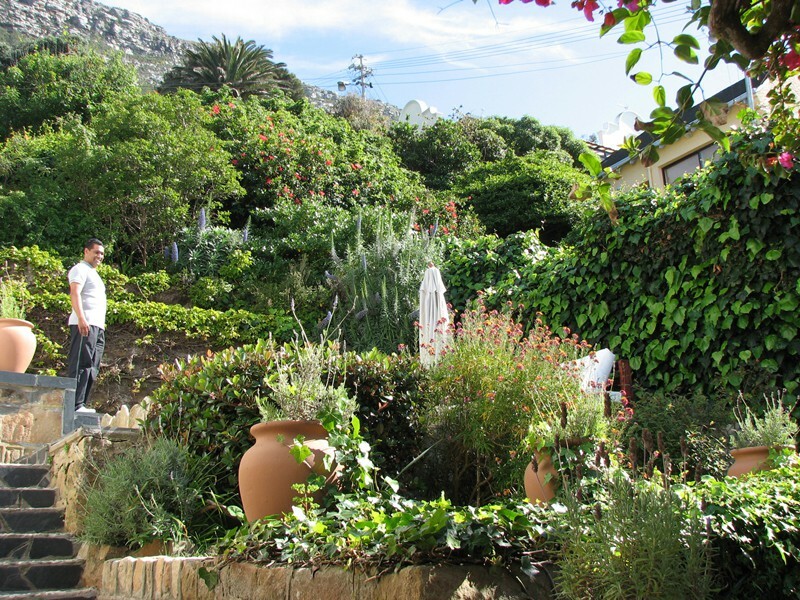 We are conveniently located directly between the Cape Point, Cape Town city center, and Cape Winelands, providing an ideal point of departure for day trips. 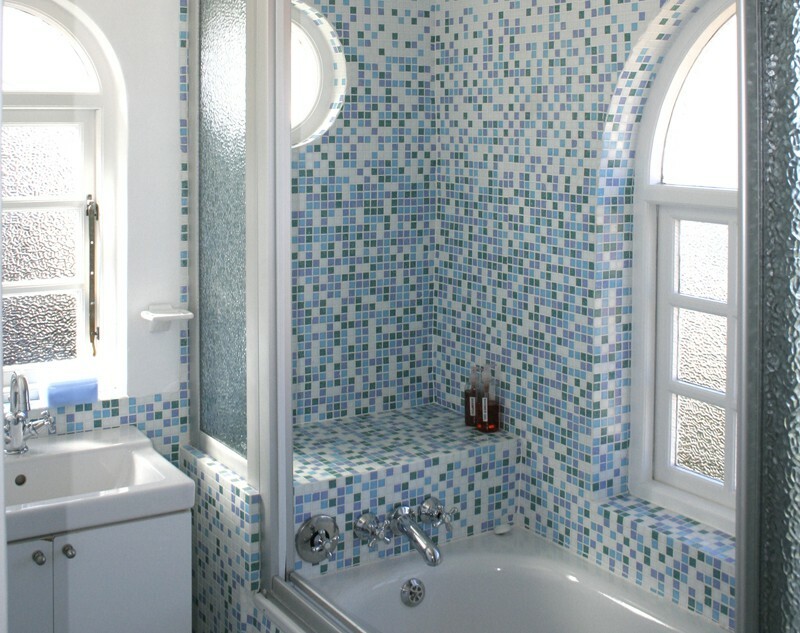 At the end of the day, return to relax in a deep bathtub and settle into fine linens to the soothing sounds of the surf. We also offer the finest orientation to cosmopolitan central Cape Town and the wilds of the Peninsula through our customised tours. Furthermore, you can stay with us knowing that you are making a difference in the lives of individuals who are working to lift themselves out of poverty. We have well-established relationships with artist collectives, offering opportunities to meet artisans and learn about the process of their crafts. In Khayelitsha Township, we have accomplished something extraordinary: construction of a multipurpose community center that provides sustainable income and educational programs that help unemployed mothers and their children to help themselves. 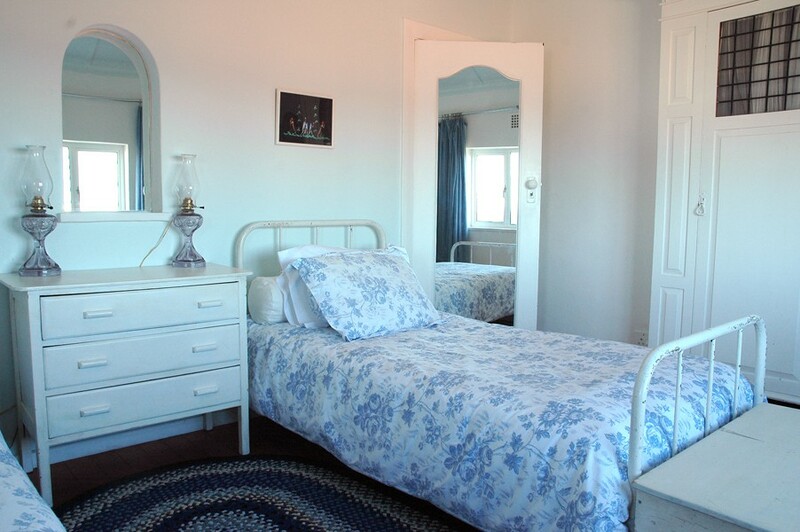 Our combination of convenient location to the beach and walking-distance activities, central position for day trips, and connections to local communities is completely unique. We look forward to hosting you at Blue On Blue, where the sky meets the sea.